Increasing crop production for the growing population is a great urgent need for China in the coming decades. Yet, crop production in China has been challenged with severe soil degradation (decline in soil fertility and pollution in croplands), water pollution and agricultural waste management. Of the total arable lands, 30% is poor in soil fertility according to the Chinese soil fertility categorisation, and 20% is threatened by soil pollution of metals and organic chemicals. For most of high-yielding croplands, however, excess use of chemical fertilisers, particularly of synthetic N fertilisers, results in soil accumulation of nitrates and eutrophication of waters. Meanwhile, significant quantities of crop straw are often burnt in fields, despite a very strict policy by the state and local governments to ban straw burning in rural areas. Carbonisation of crop straw via pyrolysis or gasification into bioenergy and biochar is conducted under the national green energy project launched in 2012 and a low carbon economy framework initiated in 2014. 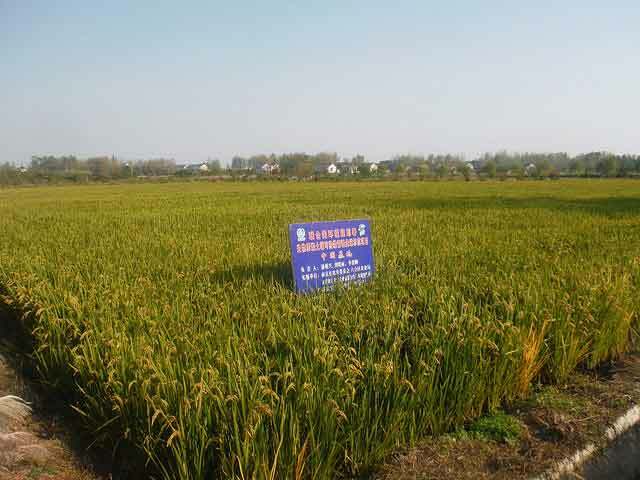 Biochar produced from the carbonisation of biomass has been tested in a number of sites located across the major crop production areas of China since 2010, under grants funded by the Ministry of Agriculture, Ministry of Education and Ministry of Science and Technology. In parallel, commercial-scale production systems for straw carbonisation have been under fast development in China, mainly in the private business sectors, in the last five years. Demonstration of crop straw carbonisation and biochar application in green agriculture has been initiated in a number of sites across the major crop production areas of China. In the last decade, studies have confirmed the key role of biochar as a soil amendment in sustainably improving soil fertility, mitigating greenhouse gas (GHG) emissions and immobilising pollutants in soil. However, the synergistic effects between crop productivity, pollutant immobilisation and GHGs mitigation have not yet been characterised, and the cost-benefits of biochar production and application need to be assessed across the full life cycle and across sectors. For up-scaling the straw carbonisation and biochar application in China, some uses of biochar in large amounts should be sought. Among these, biochar could be used for compound fertiliser manufacture, soil pollution remediation and rehabilitation of degraded land. To promote biochar production and application in agriculture, public awareness of biochar production and the beneficial effects as well as technical constraints would be a pre-requisite. For this, biochar training and demonstration programs need to be developed. The Centre of Biochar and Green Agriculture, Nanjing Agricultural University (NAU), is a pioneer in developing technologies for biochar production for waste management and for biochar application in green agriculture of China. NAU has been actively involved in developing biochar technology for low carbon and sustainable treatment of polluted lands as well as slow releasing compound fertilisers. It also provides a platform for exchange and training for the biochar sector since 2012. The baseline projects operated at Nanjing Agricultural University include a number of experiments and demonstrations of biochar in green agriculture, across the mainland of China. Biochar (from commercial-scale biochar plants) in soil amendment field experiments has been evaluated for its impact on crop productivity, GHGs mitigation and pollutant immobilisation, simultaneously or separately conducted in croplands from Henan, Hunan, Jiangsu, Sichuan, Shanxi; in greenhouse soil in Shandong; in Chinese medicine orchards in Yunnan and Shandong; as well as in abandoned salt lands in Henan. Using biochar in compound fertiliser manufacturing, produced by commercial fertiliser companies, has been tested in Anhui and Shandong. Field trials include two trials with biochar compound fertilisers, four sites of land treatment with biochar and four sites with biochar for mitigation of GHG emissions. testing of biochar production systems in terms of net C balance, cost-benefit as well as biochar quality and functions (2 years), including mobile machines, medium and large scale kilns and large scale production systems. Furthermore, biochar production using different technologies or pyrolysis systems for different target products is under development, testing, and finalisation. A mobile pyrolysis machine is also being tested in Jiangsu, Shanxi and Zhejiang sites, allowing farmer operation for in-situ carbonisation and biochar production in/near fields. Large scale business pyrolysis systems are under development and testing in the provinces of Hubei, Jiangsu and Zhejiang, respectively for charcoal, biodiesel and agro-biochars. The objective of the B4SS project in China is to share the knowledge generated on the potential of biochar in China’s green agriculture with stakeholders including farmers, local/rural leaders, extension advisors as well as business people in the carbonisation sector. Building upon work achieved through baseline project activities, representative experiments and demonstration projects, the B4SS project aims at promoting, through policy briefing, the state agencies and rural governments as well as farmers the adoption of straw-derived biochar in their production sector, and potentially undertake an integrated life cycle analysis of carbon gains, economic gains as well as of productivity and quality of produce. Stakeholders will be involved in the B4SS baseline and final surveys of biochar knowledge and use in agriculture, field demonstration experiments and training programs. Under the B4SS project, Nanjing Agricultural University (NAU) will continue the measurement of soil properties and crop growth following a single high application rate of biochar to investigate the long-term effects. The overall benefits of using biochar and the sustainable role of biochar in agriculture will be explored, based on the results from previous trials (see Nanjing Agricultural University). Also, a socio-economic analysis will be conducted to test the feasibility of using biochar in the targeted rural areas. The training of people doing business with biochar technologies and engineers working in pyrolysis plants will be improved during the B4SS project. The plan is to train them on the properties, functions and application of biochar formulations with respect to product conditions. The B4SS project activities of NAU include hosting the third international biochar training course on biochar production, testing and application that was held from 16 to 21 April 2015 at NAU, China. The international attendees shared knowledge on biochar use in agriculture and its potential benefit in organic waste treatment and for the protection of the environment. The members were organised together to visit the farmland to get a visual expression about biochar use in agricultural production and its comparative effect with other alternative management practices, such as application of chemical fertilisers only or crop straw and manure direct soil return. These training courses have proved to be very valuable opportunities for disseminating knowledge on biochar. the B4SS good practice guide for the use of biochar in sustainable land management (SLM). 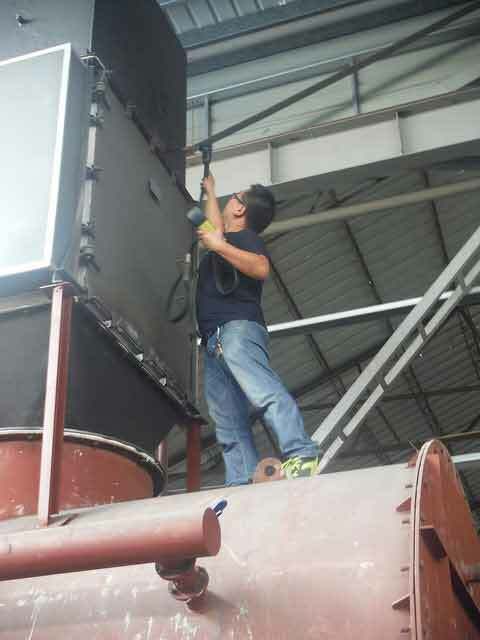 design and construction of advanced biochar kilns, and an evaluation of different biochar production systems in terms of scale and mobility for different feedstocks and crop production systems as well as for the capabilities of the producer/users. improved water, soil and nutrient management will lead to more efficient use of water resources. the training of at least 40 local field extension officers will strengthen their ability to support farmers. Involvement of the local university in the Research and Development Establishment activities will enhance local agriculture expertise during and beyond the life of the project. The conversion of crop straw into biochar avoids air pollution caused by direct burning of straw. The nutrient in crop residues will be recycled into soils, potentially increasing soil fertility and crop productivity. In addition, biochar soil amendment can also increase the capacity of the soil to retain nutrients from leaching out of the soil profile (especially in rice paddies), further decreasing the discharge of nitrogen, phosphorous and potassium into waters. The public, particularly the malnourished groups, will likely pay more attention to environment protection through their involvement in biochar experiments and visiting the demonstration sites. The scientific community will have more opportunities to learn from each other. The partners at the Nanjing Agricultural University will draw recommendations for the national policy to promote straw carbonisation and biochar production and application, especially with feasible options for different crop areas and targets. The use of biochar-based fertilisers is expected to save costs to farmers by reducing chemical fertiliser input and increasing crop yield. However, this should be assessed by conducting a cost-benefit analysis based on field experimental results. Underutilised rice husk in China from Bio Char on Vimeo.